Build complete, car made 809whp. I wanted to hit 800 and did it. Drag strip coming soon. Well the All Out Call Out 2012 runs and the Friday of practicing have hurt the car. So it's time to build her up. 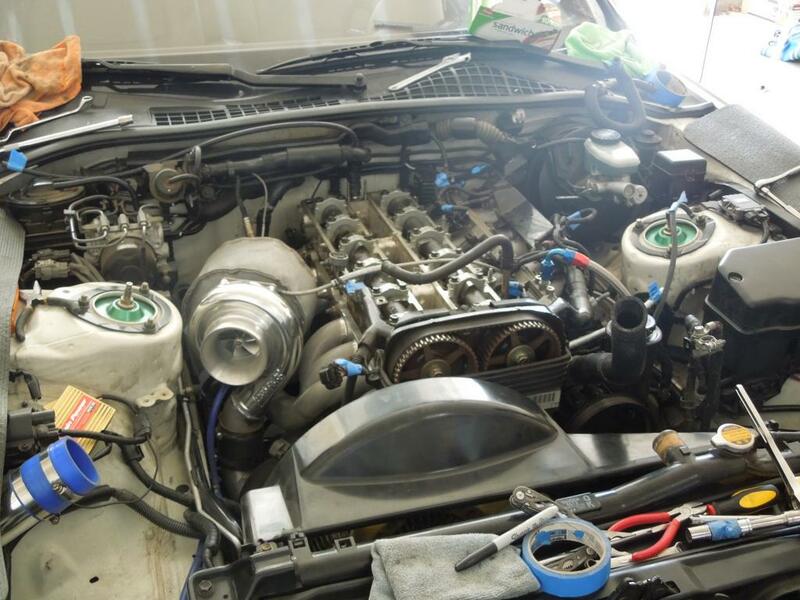 The car has stock internals, built head and made 740whp with it. Did 11.7 @ 127mph with dead NT05r tires. Its been the best car I have owned yet. But now I am going to upgrade the internals. 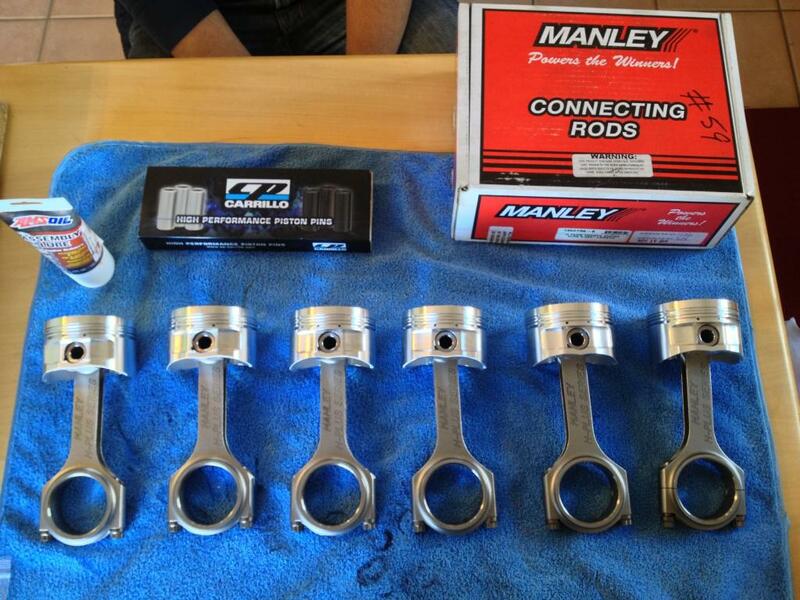 I will be going with a custom set of forged pistons, made to the compression ratio of what these stock pistons have. 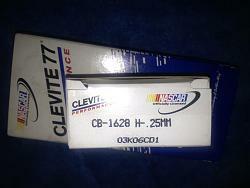 Will probably bore the motor to 86.5mm, and make sure all is well internally. 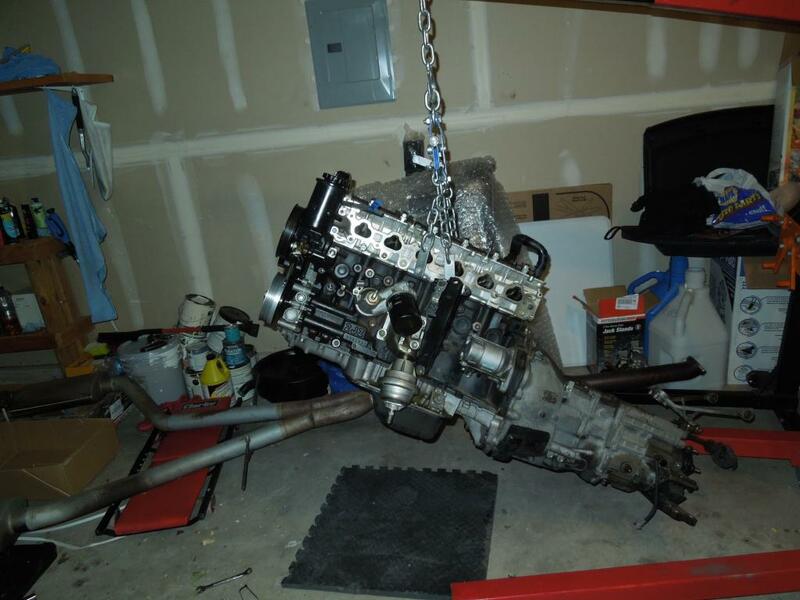 I am going to try and pull the motor this weekend, and I will update this whenever I can. Time to spend money I don't have, and go mo fasta! Also with the car being in the garage, I won't be able to do anymore detailing. Some of you will recognize my car from these vids. Last edited by drifterx27; 02-06-14 at 01:54 PM. 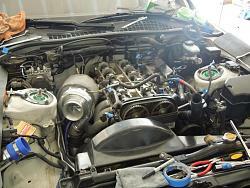 The intake manifold n exhaust manifold n turbo are out. Harness is marked, lines are marked. 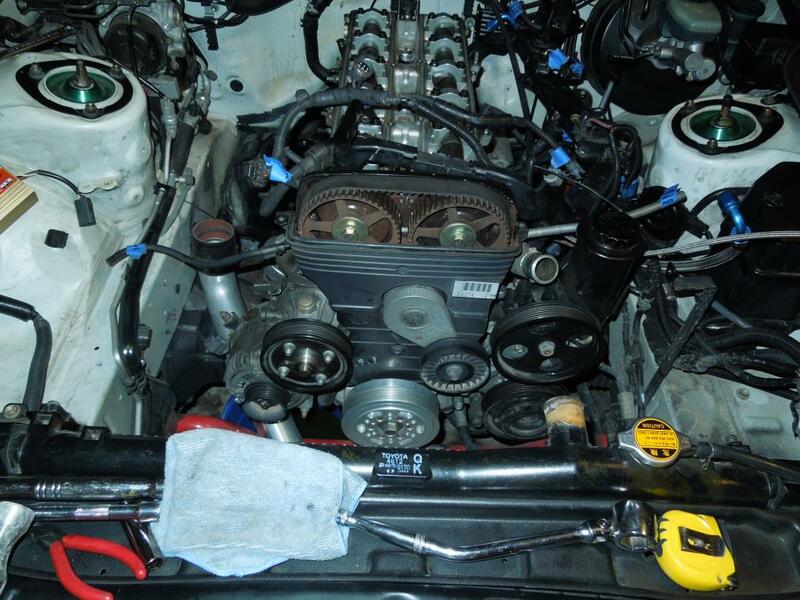 We just have to remove the ac compressor and driveshaft, and the motor should be out. Drained out the oil and it had no metal in it, so I am glad for that. Last edited by drifterx27; 01-29-13 at 04:56 AM. So we pulled the motor after work on May 4th. Took us 7 hours to get it out. Next I will have to remove the transmission, and then start tearing it apart. We have been taking photos and marking everything we remove. 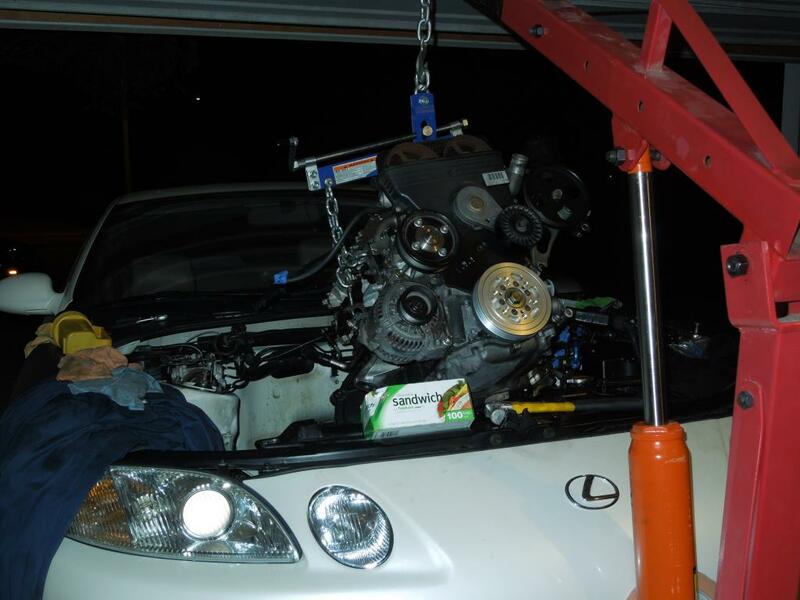 When time comes to reinstall this motor, it should be a smooth process. Been researching more upgrades, I have been reminded "You have to pay the cost, to be the boss" once again. Can't wait till I have more money to get more goodies. 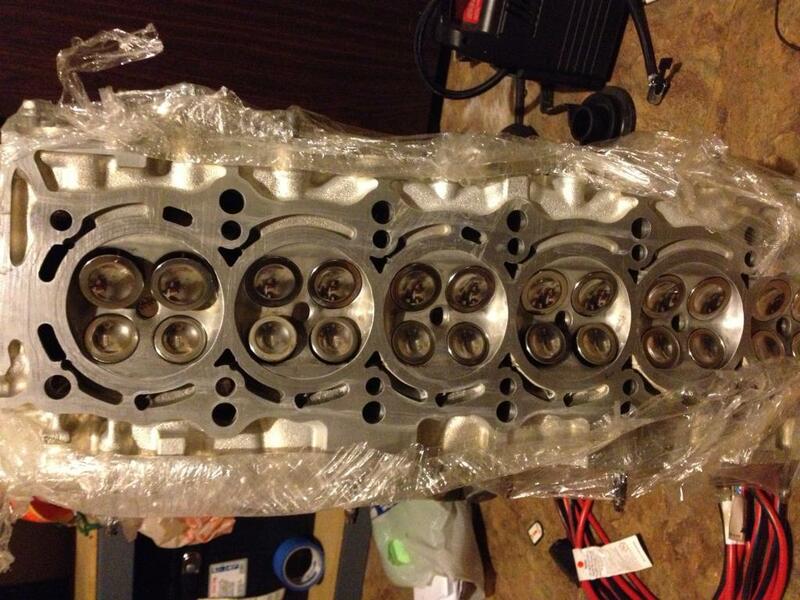 Rods, head, and main studs to ARP for sure. 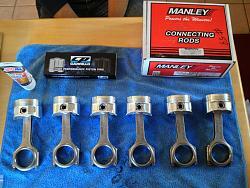 The rods will be Manley H beams, pistons will have to be custom as I want to keep the SC300 stock compression ratio so maybe CP, and bearings will probably be Clevite Race. 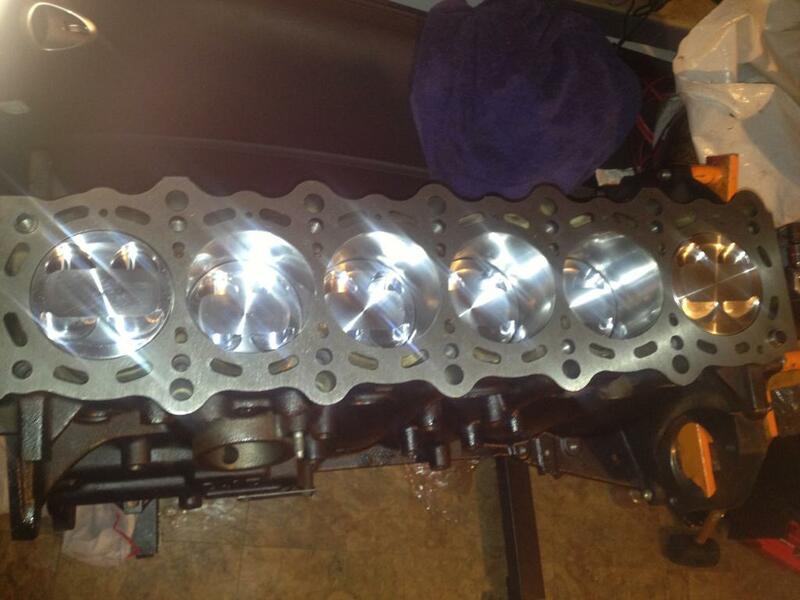 Also will be getting Titan Motorsports Billet Main caps to be sure. Then I will have everything balanced when time comes. 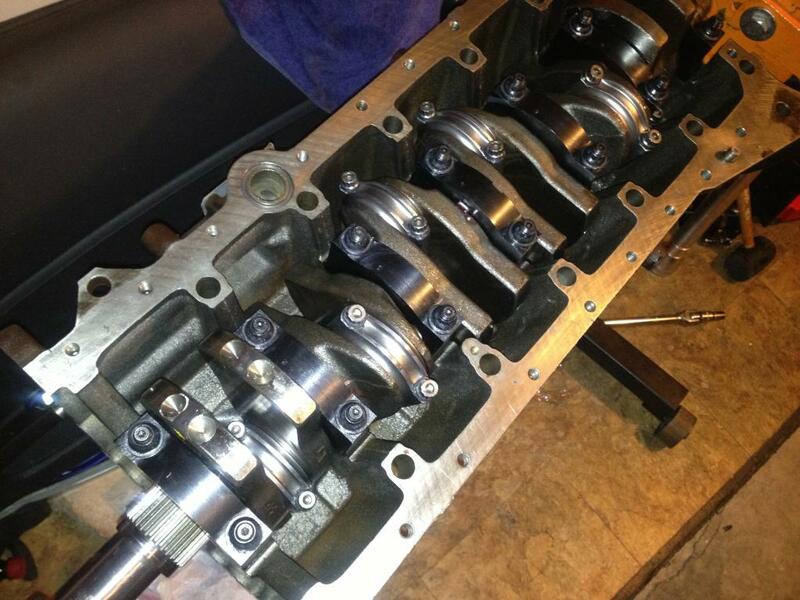 I want the block to handle 1000+whp, I have the proper fuel setup for that power, limited by injectors for now. The block will have to be bored from 86mm to 86.5mm for the pistons. 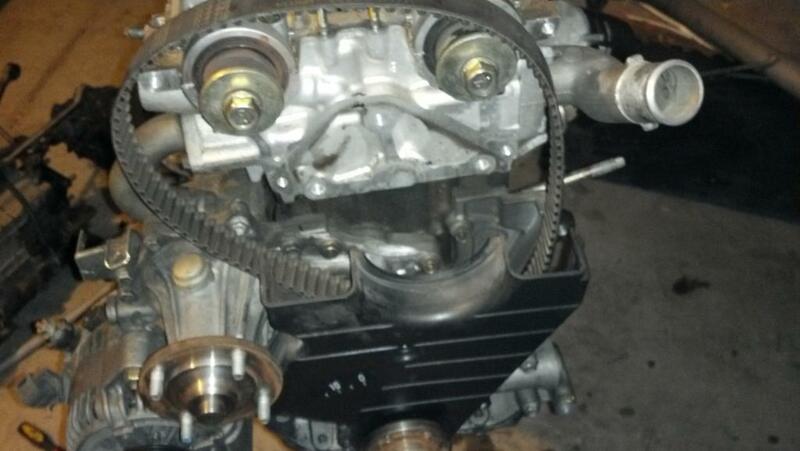 The head has been upgraded but I believe it is only the custom cams, double valve springs and retainers and port/polish. 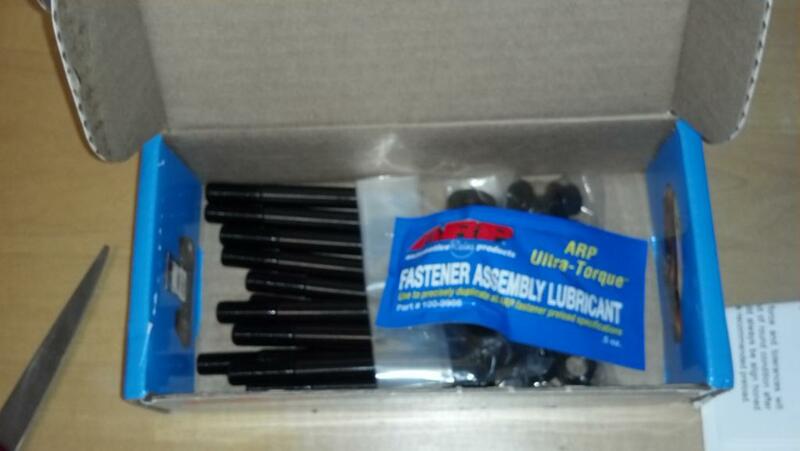 I will want to upgrade all of the head to Ferrea +1mm valves, Ferrea valve springs and retainers, and have the head work done to fit it all properly. I want to be able to run to 8k rpm safely. Also thanks to TwinScrewd for letting me use his stands for this. He is a lifesaver. Made some progress late last night and today. Last night got the extended bolts needed to mount to the engine stand, and went to work. Today got the cam gears, belt tensioner, crank pulley, water pump and power steering removed. Then today got the other crank pieces removed, as well as the water pump and oil pump bolts. Gonna have to remove the oil pan and girdle next. Need to sell the Sentra so I can order those parts I need from Boost Logic. 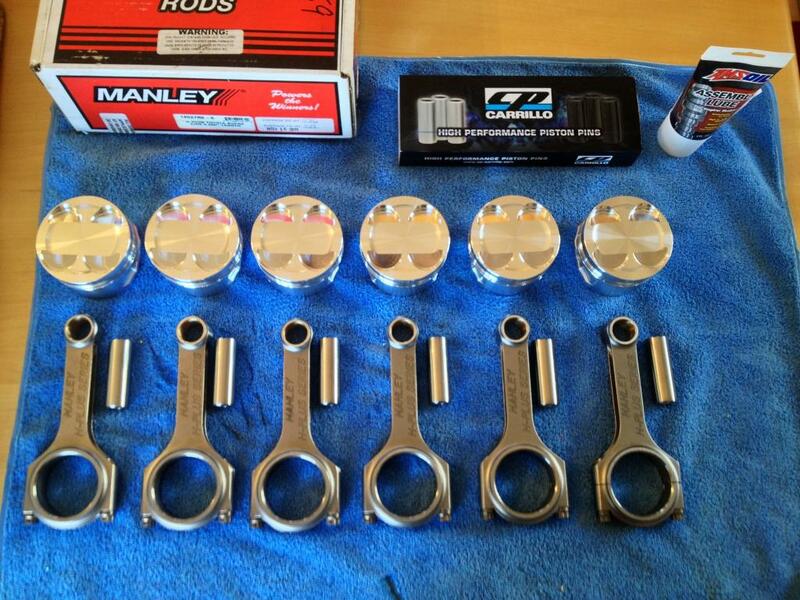 They will be measuring the pistons for me and ordering Custom CP pistons for my setup. 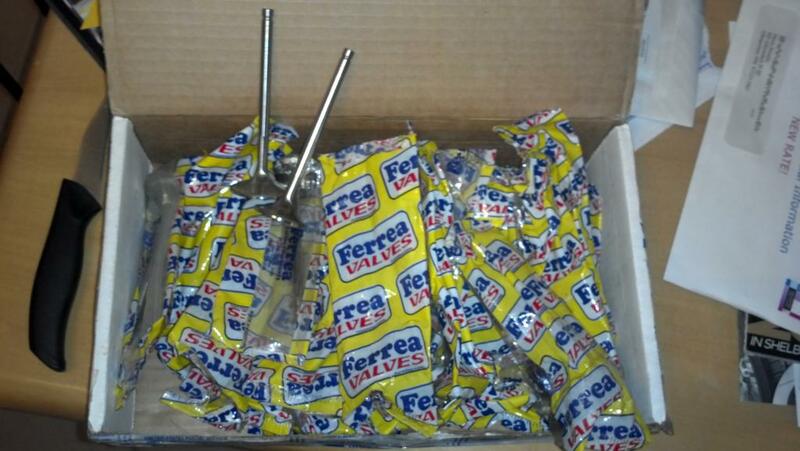 Just checked my mail, got the Ferrea 1mm Oversized valves in. NICE! Got some work in today on the engine. 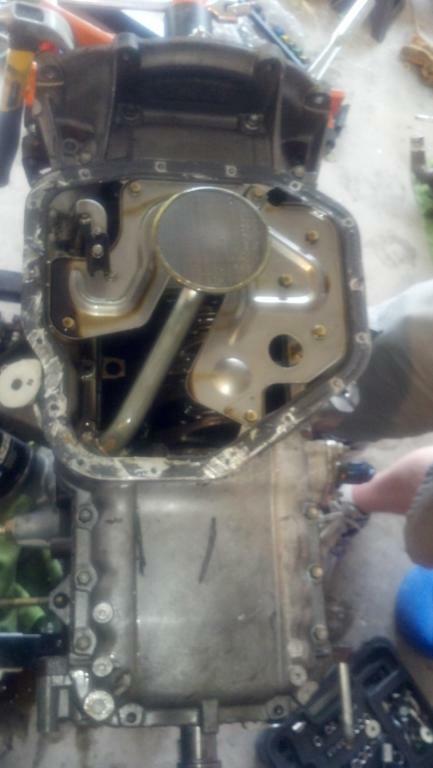 Removed the head, oil pan and girdle, and pistons are out. 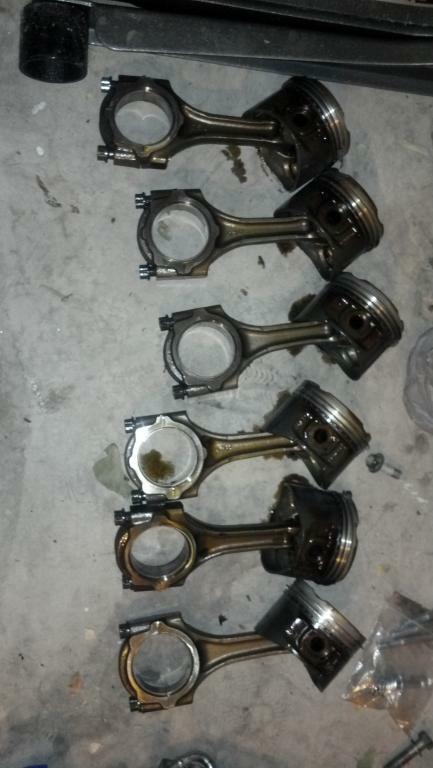 Surprisingly the cylinder walls are clean, piston tops and skirts are clean, no signs of wear on the bearings. So I am dumbfounded. I will remove the crank and check the bearings on that too. 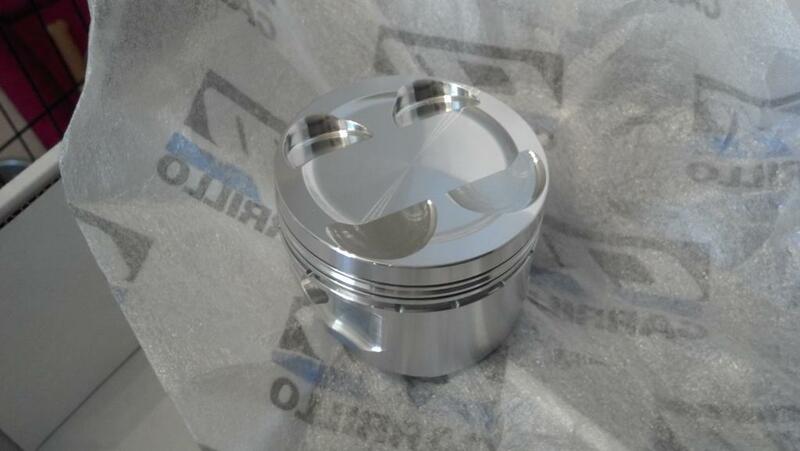 Shipping the stock piston off to Boost Logic tomorrow for them to measure and order the custom CP pistons. Also going to take the head to AMS to get the Ferrea valve seats ground for the 1mm+ oversized valves. Here is the list of everything that is getting done. 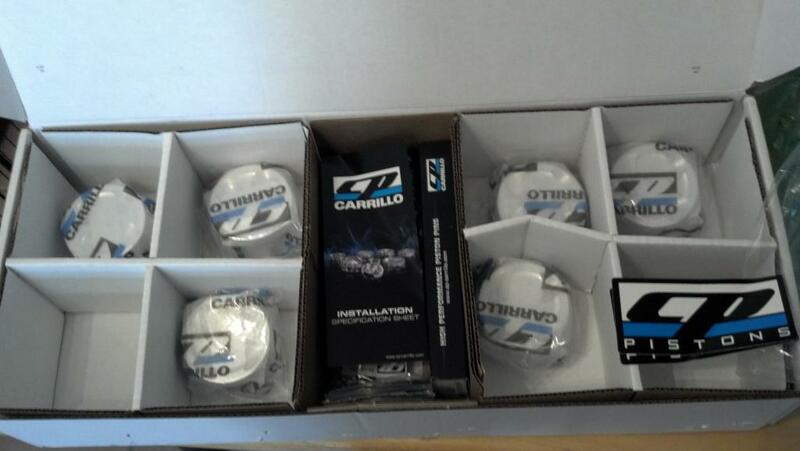 Got a buttload of new parts in finally. Took 2 months for the custom CP pistons, but I must say they are beautiful. 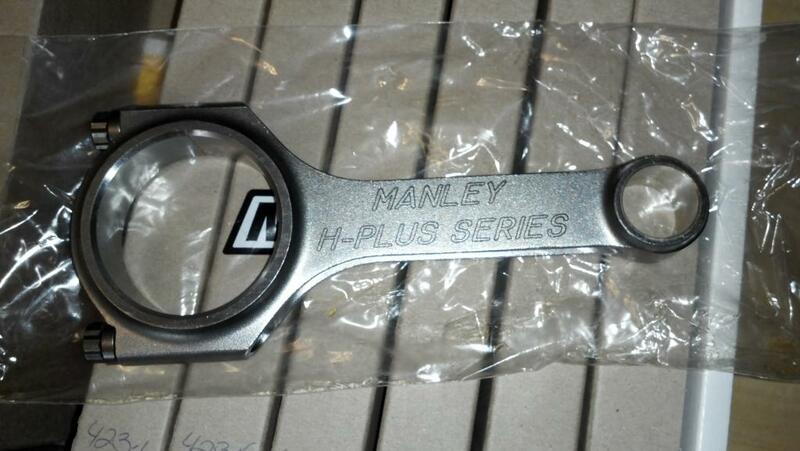 The Manley Turbo Tuff H beam rods are sweet too, and they came with ARP 625+ bolts! 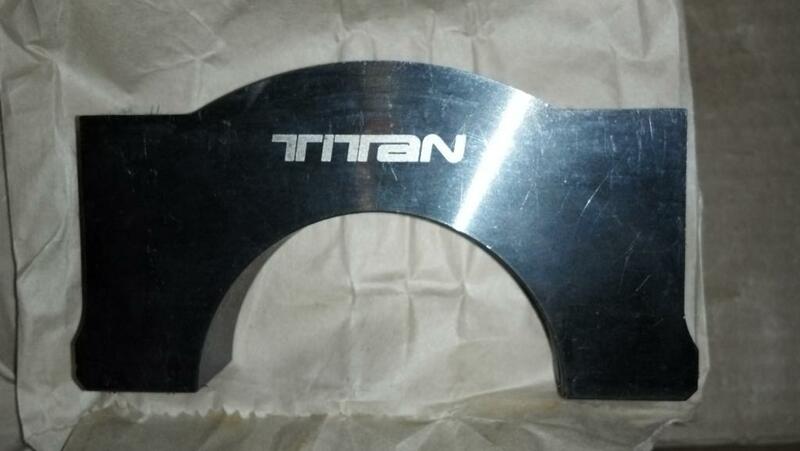 The Titan Billet Main caps look beefy, and got ARP Main studs to hold them. Need more money to get the machine work done on the block, I've got none. Twinscrewd and I want to goto TX2k13, so I want to finish the car before then. If I can sell the M5, then I would have enough to finish the Lexus. 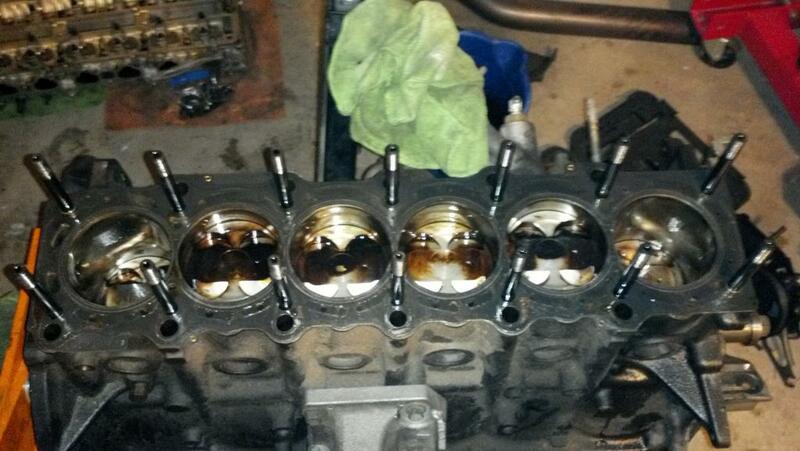 Also, I had sent my injectors to Injector Dynamics to get cleaned and flowed. They cleaned them 3 times and said they are no good. 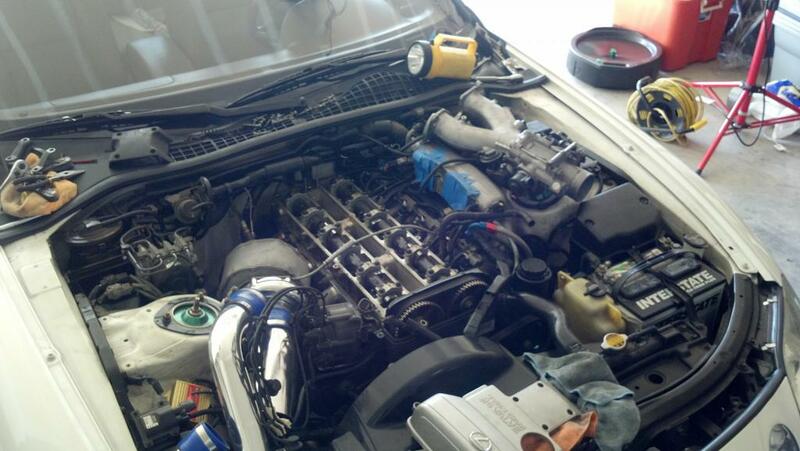 I will have to buy bigger and better injectors for sure. 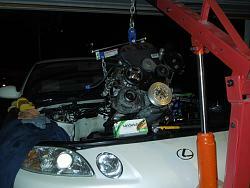 I want a new Supra TT headgasket, front and rear main seal, oil catch can, new flywheel bolts, and possibly a new clutch. Stay tuned for further updates. Picked the head up on Monday. It looks good to go. Now I need a truck and some strong mans to help me take the block to the shop to get the work done on it. Anyone down? Talked to the shop today. They told me the #5 & #6 journals have minor cracks in them. So I will have to get another one. This is the reason the motor was knocking, glad I finally know why. Called the shop yesterday, and they said the line boring on the main caps were completed. 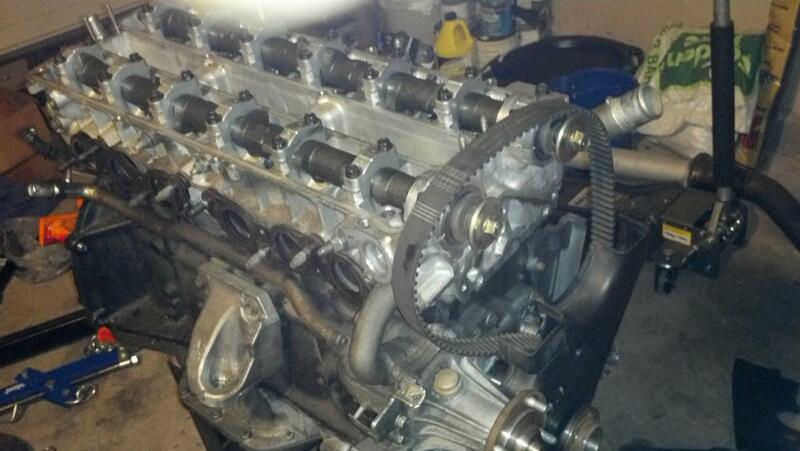 All that's left is to size the proper bearings for the motor, and it should be ready for pickup. Got all the pistons installed. 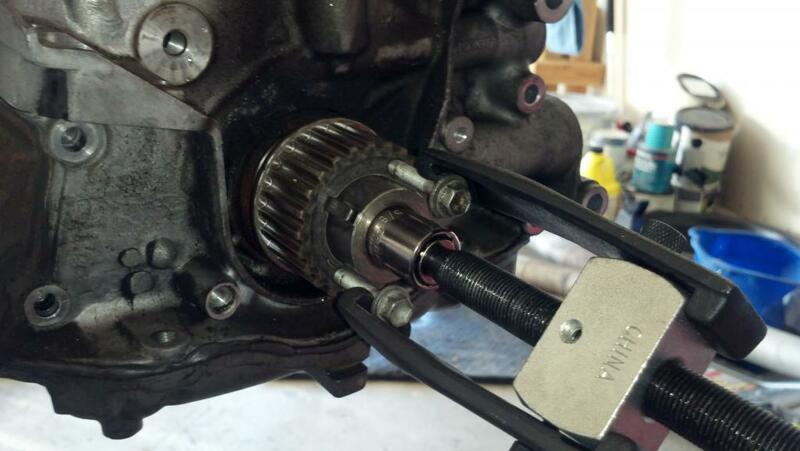 Crank is fully installed and torqued with ARP Ultra Torque grease. I will torque the rods tomorrow. I must say, AMS did an excellent job with the machining. They machined the mains to the same size all around. And the rods too. I also had them file-fit the rings. Assembly so far, has been super easy. Glad with the progress, and excited to see it completed! 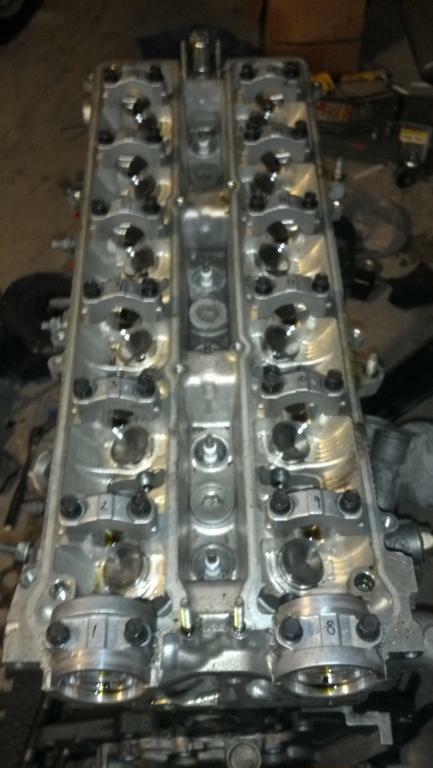 The OEM GTE headgasket is the first thing I need. Stay tuned for more updates! Last edited by drifterx27; 01-29-13 at 05:33 AM. Man, what a nice overhaul. This thing is going to be a beast once the break in period is over.. I will be watching this setup. Sounds like a 1k hp goal..
nice ... sorry I might have missed it, what is the compresion of those CP pistons ? keep it up and good luck !